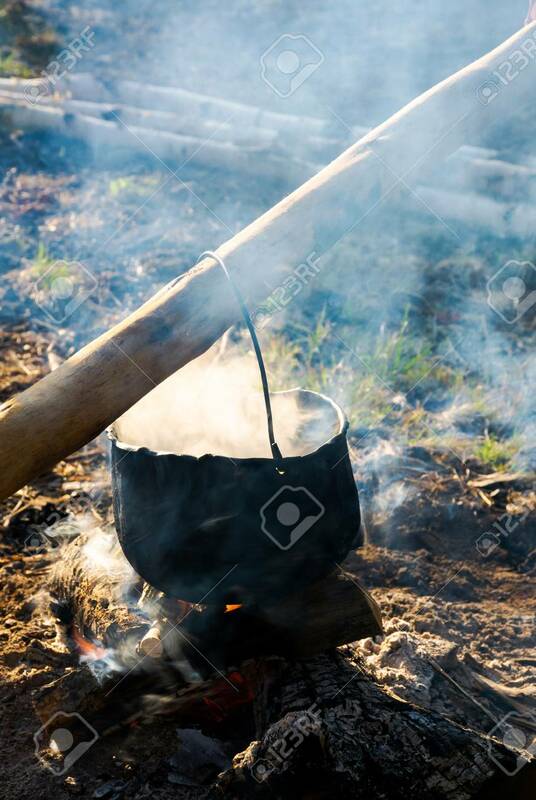 Old School Way Of Making Tea Outdoor. Steam And Smoke All Around... Stock Photo, Picture And Royalty Free Image. Image 104895217.